This bride left her wedding guests in tears. This bride left her wedding guests in tears after she stunned her deaf husband-to-be by signing her wedding song. Since meeting two years ago Elizabeth and Scott Shoesmith’s romance has been something of a fairy-tale. 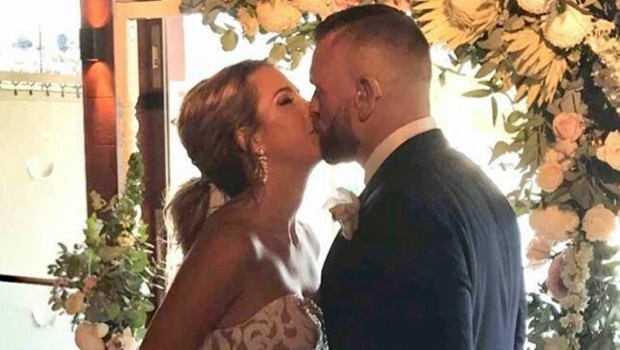 But before tying the knot, the 41-year-old bride had a very special surprise in store for her deaf groom. Learning sign language shortly after she began dating Scott, Liz was worried the meaning of her emotive song – Christina Perri’s ‘A Thousand Years’ – would be lost through lip reading. “I did some research and found that, on average, deaf people only comprehend about 60% of what’s being said via lip reading,” she says. “So, learning Auslan has been really important. The non-profit CEO taught herself the lyrics and gestures in the months leading up to her big day at Zest Waterfront at The Spit in Sydney, Australia. “Scott just burst into tears when he saw me,” says Elizabeth. “He’s watched the video back at least 100 times now. The pair, who live in Australia, met on Tinder two years ago which motivated Elizabeth to start learning sign language as soon as they started dating. Scott began losing his hearing at the age of five and was profoundly deaf by the age of eight. After extensive speech therapy, Scott can speak extremely well but Elizabeth feared the significance behind her song of choice would be lost through lip reading. “Every time I’d practiced it leading up to the day I’d make mistakes or go blank. “But when I was left at the top of the aisle and locked eyes with Scott, I didn’t look away. “It honestly felt like we were the only ones in the room,” she says. The doting mom, who’s an advocate for social change, hopes her adorable gesture will create a world where everyone is included. 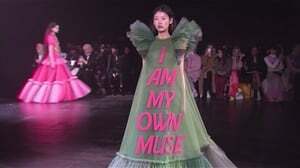 “In simple terms, I want to be rid of all the labels and lift the conversation and social change up a level,” she says.